The older one of these is the 1656 Viking Line Ferry, first released in 1982. 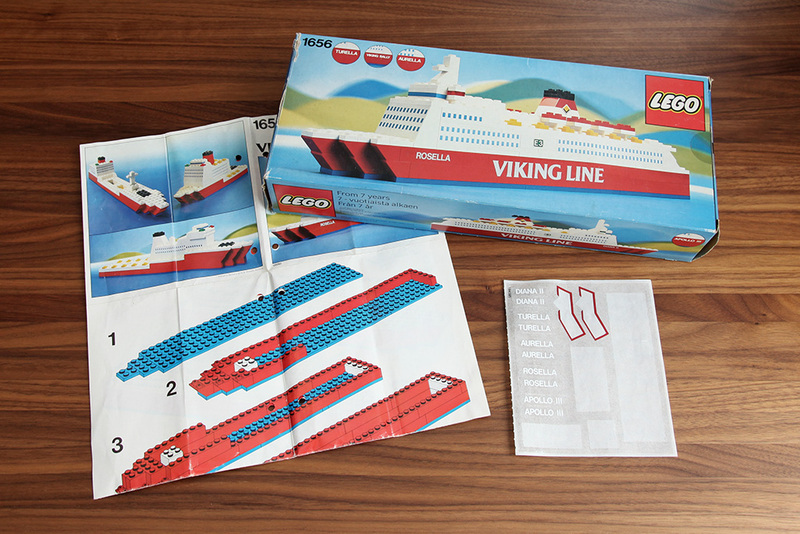 It was sold on Viking Line ferries traveling between Finland and Sweden, and that is where I got mine from as well – judging from the selection of ship names available, it must have been in the first half of the 1980s. Somewhat eerily, the name I had chosen was Viking Sally – meaning I probably got it from a trip to Mariehamn aboard that ship. Viking Sally would later be sold to Estonia and renamed M/S Estonia, and sank in 1994 in one of the worst modern maritime disasters, claiming 852 lives. May they rest in peace. The LEGO Viking Sally is intact, found wrapped in a plastic bag inside its original box, although there is quite a bit of yellowing on some of the bricks from the time it was out in the open in the 1980s. Note that while there was extensive use of stickers, even those dreaded stickers across multiple pieces (STAMPs), the side windows on the long bars were printed. There were two alternate chimney designs to represent various Viking Line ships. By the way: Viking Rosella, which could also be built from this set (by simply swapping the sticker), is still operated by Viking Line on the Mariehamn route. This was not the only such promotional set sold on ferries running between Finland and Sweden, but I believe it is the only one I ever got. 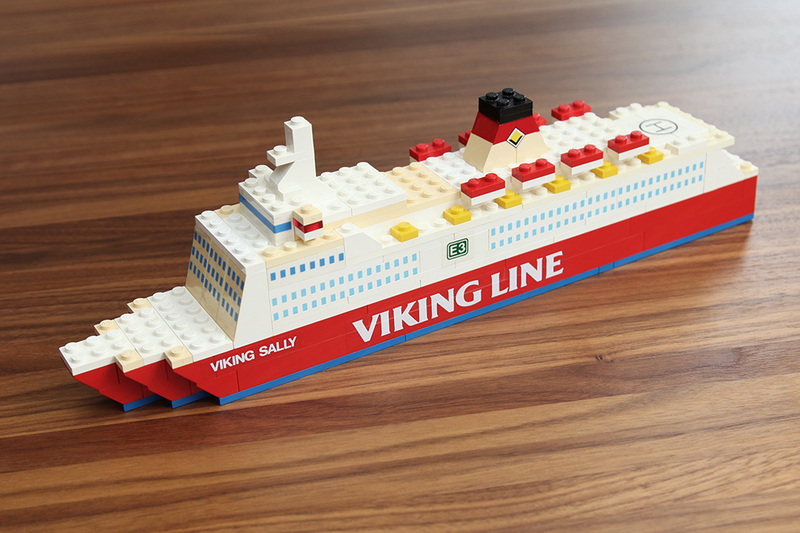 Although LEGO is still sold onboard Finland-Sweden ferries today, I haven’t seen such promotional sets in years. I do miss them, I think they were a fantastic idea especially as souvenirs for kids, who could either use the set to pass the time while traveling or build and display the set after returning home and have something to remember the cruise by (and show their friends). 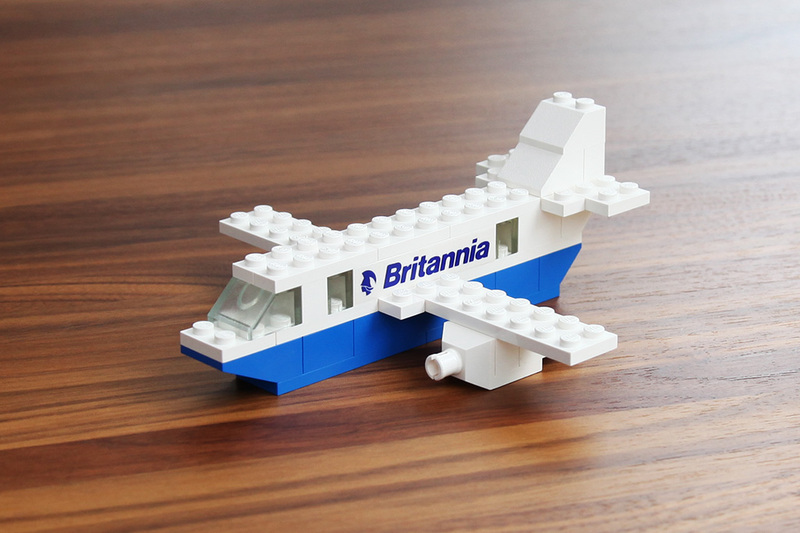 I also had one other promotional LEGO set – coming from a Britannia Airways (now TUI/Thomson) flight from/to London, England. 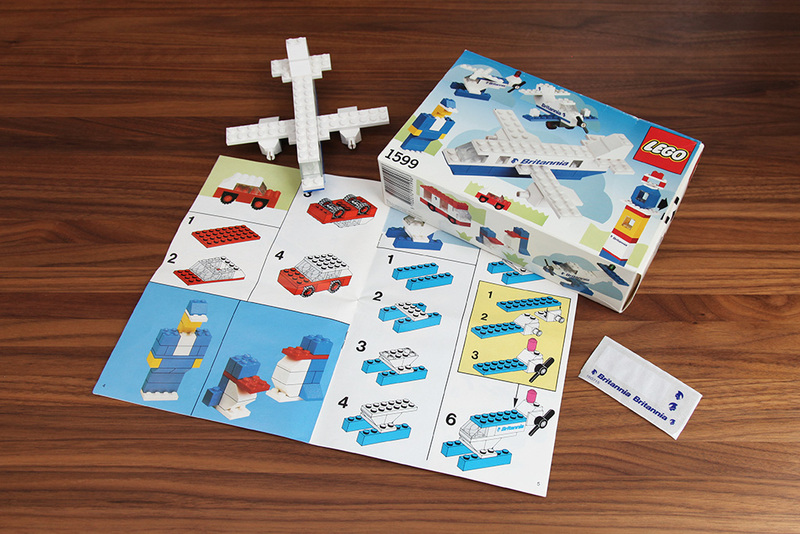 The 1599 Airliner, first released in 1988, was part of the LEGO Basic theme (which later morphed into LEGO Creator) meaning that bricks and instructions for several basic designs were included, all in microscale. There are step-by-step instructions for the airliner, a car, a helicopter, a smaller plane and further ideas for a ship, an air traffic control tower and some figures. It is one of the last LEGO sets I acquired, before entering the dark ages. It may even be the last one. Its condition is very good compared to the rest of my old collection, without any discoloration and with (probably) all parts still inside the box, suggesting it was only assembled once and then stuffed away. My trip to London aboard Britannia was in the summer of 1989. The next year I hauled all my LEGO into storage. I just purchased one of these! Its mixed into a bulk lot. Owner claimed some of the sets were european so it all makes sense now. Thanks for the post!